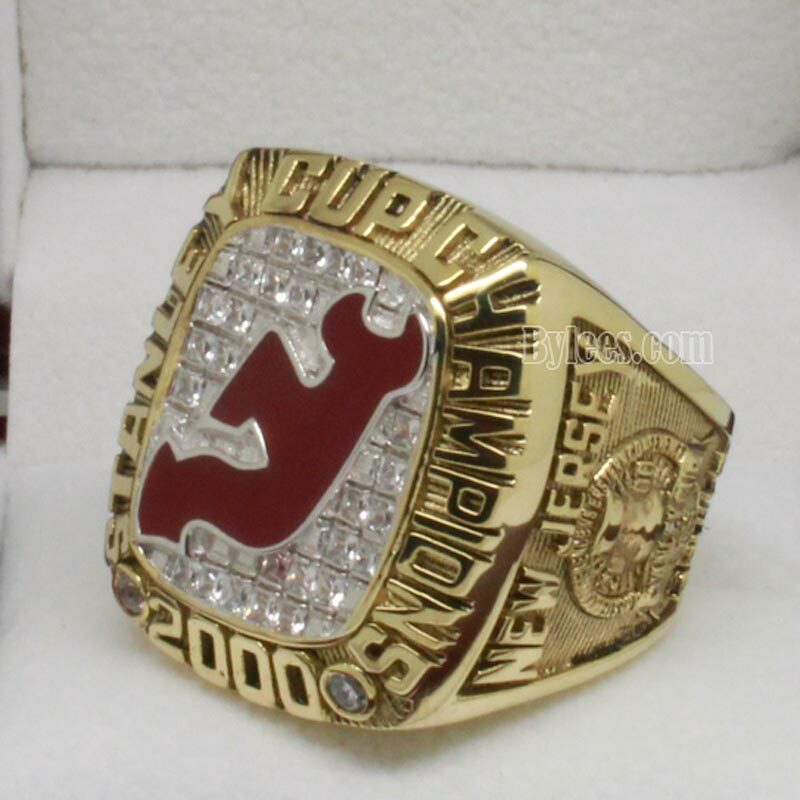 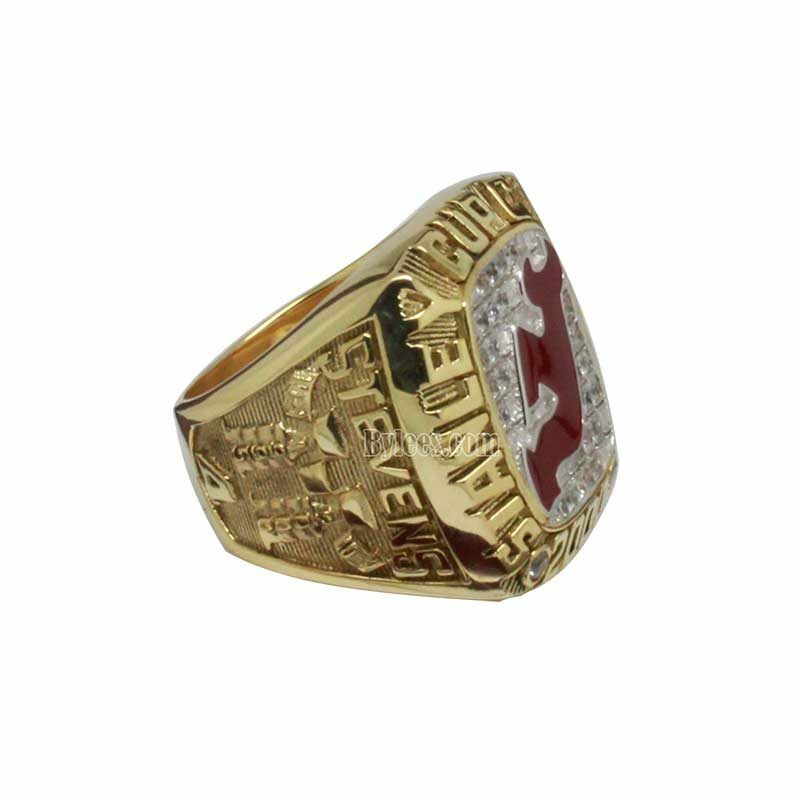 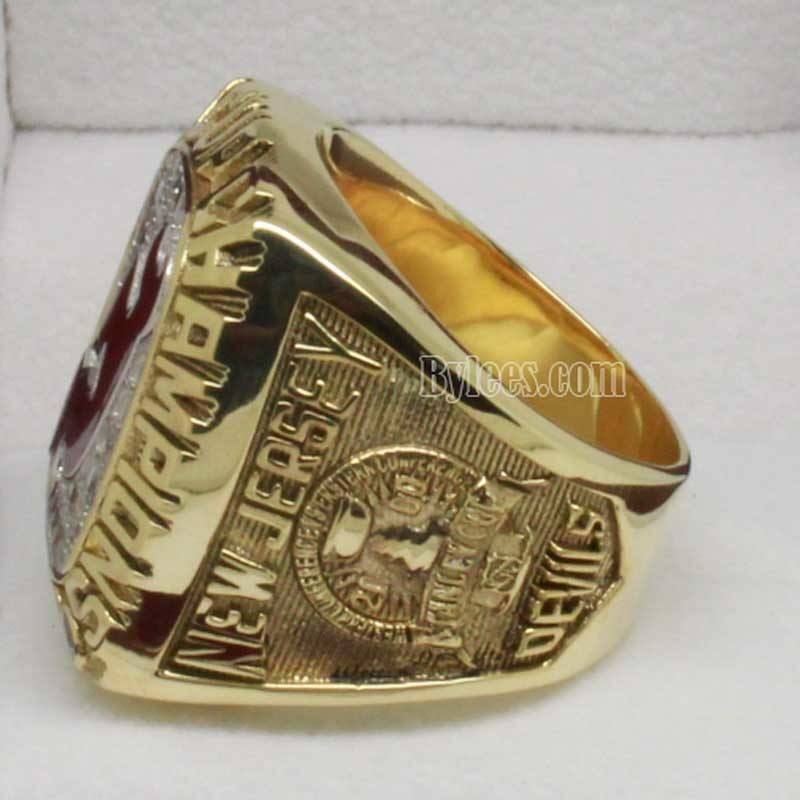 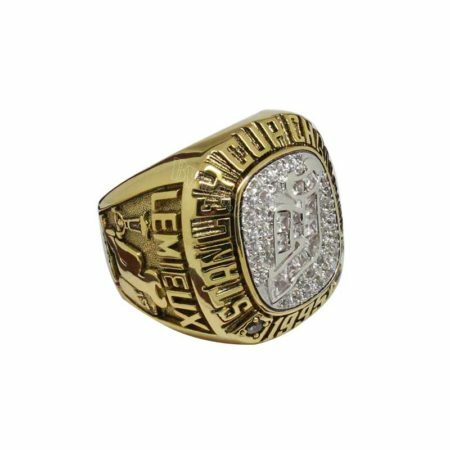 2000 New Jersey Devils Stanley Cup Championship Ring commemorated the 2000 Stanley Cup Finals during the 1999-2000 National ice hockey (NHL). 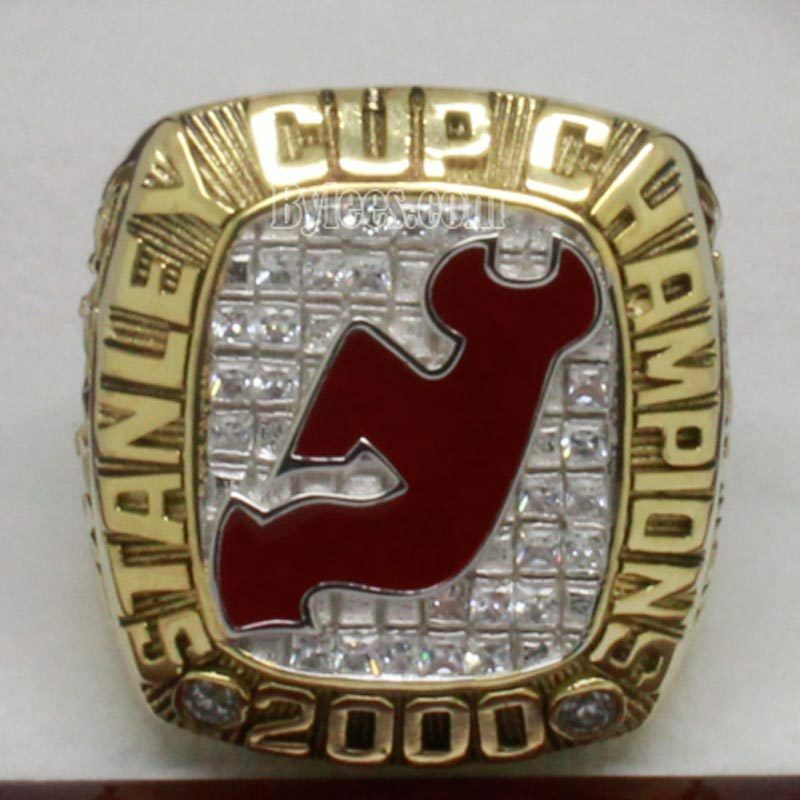 The Devils,led by captain Scott Stevens, Head Coach Larry Robinson and goaltender Martin Brodeur won the champions and the 2000 stanley cup ring. 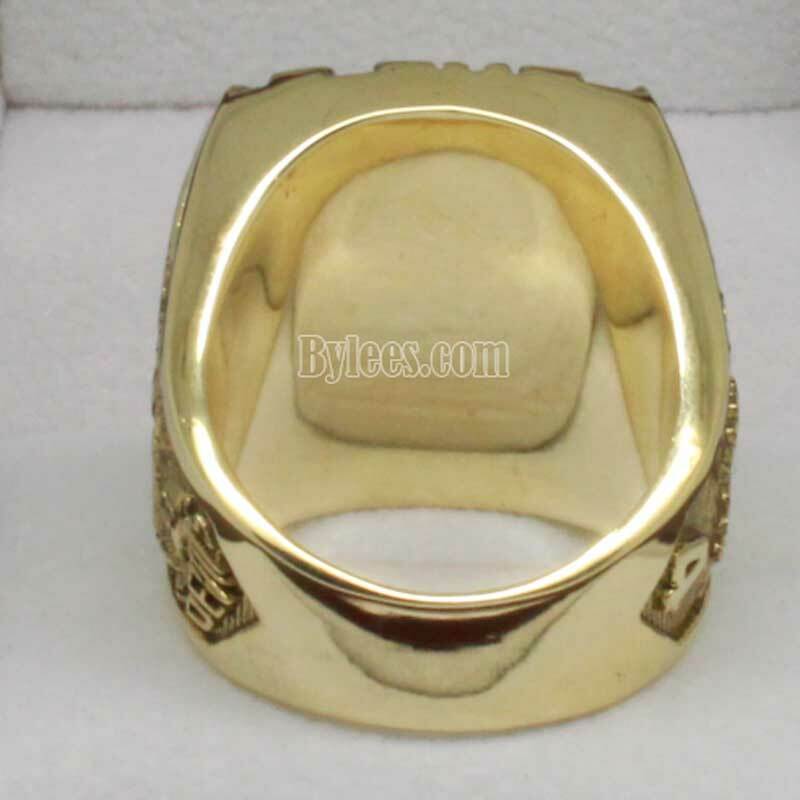 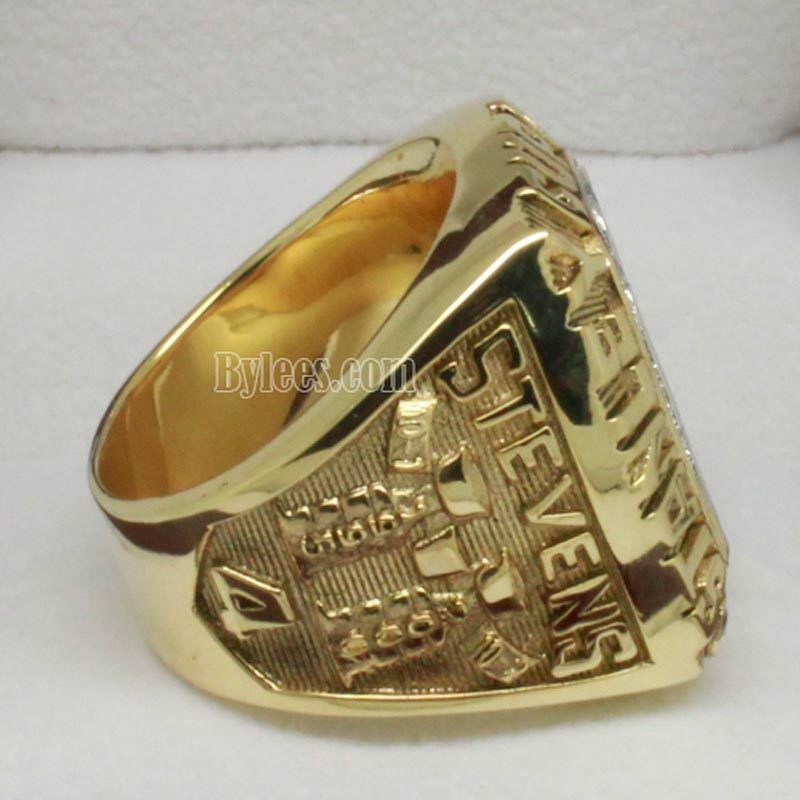 The version here is New Jersey Devils Scott Stevens 2000 stanley cup ring. 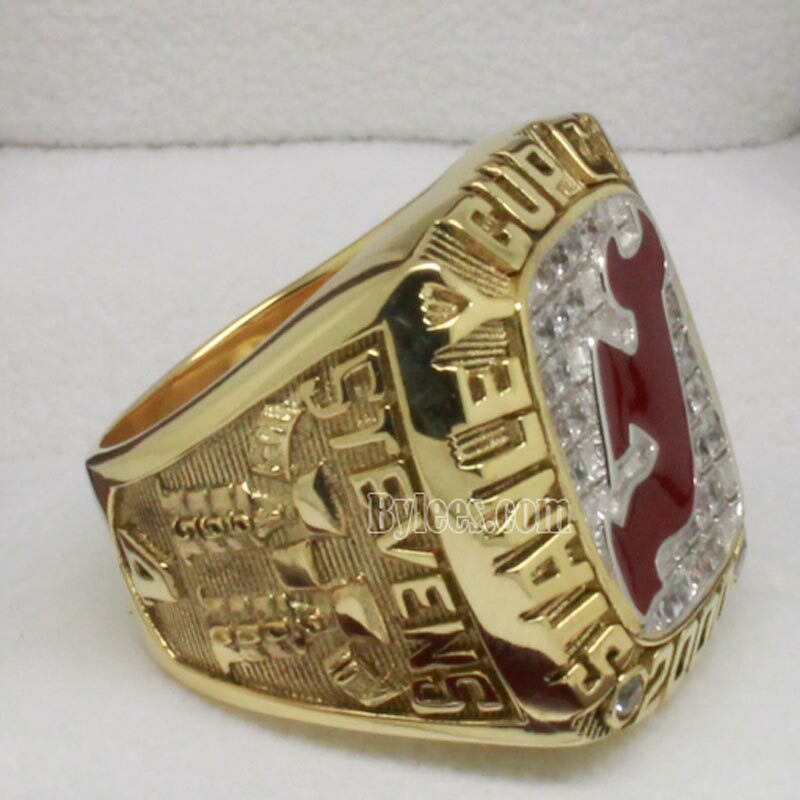 John Madden also the won the 2000 New Jersey Devils Stanley cup ring (this is his third stanley cup ring) in this season.